Planning your next getaway? Let the new Trip Board feature on Vrbo help make your travel planning easier! We’re sharing all the details today as part of our sponsored partnership with Vrbo. Have you ever used VRBO (part of the HomeAway family) to book vacation rentals when you travel? It’s been our go-to for years! And I’m thrilled that the company is now officially embracing the “VER-boh” pronunciation that we’ve always used. Along with the embracing of the Vrbo pronunciation, the company is celebrating a new logo and some new features like Trip Boards! My family loves to stay in a Vrbo when traveling together – especially when we’re traveling with friends and/or as part of a multigenerational family group. We love that home rentals offer privacy and a place to just be together, but also room to spread out. There’s so many reasons why it can be a great option for your next trip! 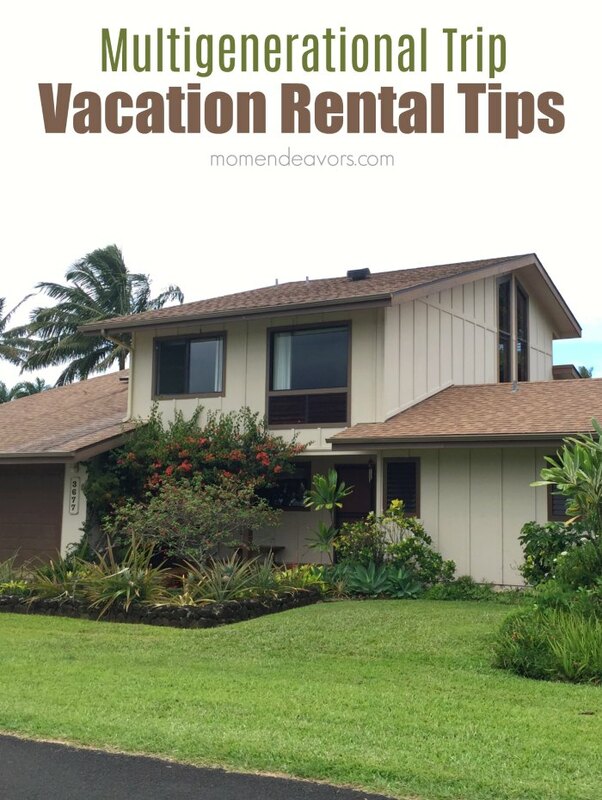 So, if you’re not familiar with vacation rentals through Vrbo (or HomeAway in general), you definitely should check out our post on reasons to consider vacation rentals! We’re gearing up for some awesome family travel this summer, including a multigenerational trip to the Pacific Northwest. 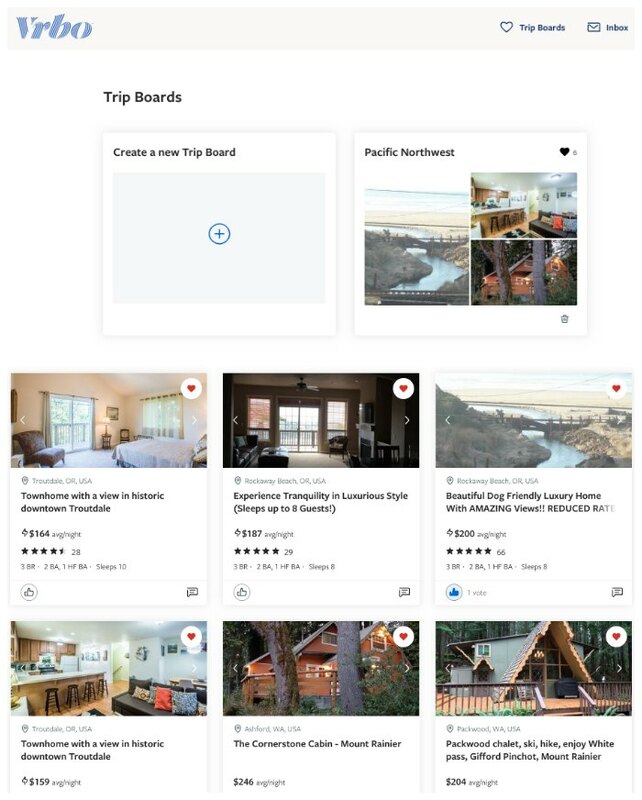 So, we’ve been looking at quite a few different Vrbo properties for our trip and the planning has been easier with the new Trip Boards feature. When you’re planning a trip with a large group of people, there are SO many moving parts and things to consider. You definitely want to get everyone’s input and make sure that there is agreement on the accommodation. So, utilizing Vrbo’s new Trip Boards feature really helps streamline that process. I just did this for our upcoming Pacific Northwest trip and it’s been brilliant for looking through properties and discussing. It’s as easy as creating a Trip Board by “hearting” your favorite vacation homes in your chosen destination and then inviting your travel companions to vote and leave comments on their favorites. Isn’t that cool?! It’s a great way to make sure everyone is included in the decision and confident that you’ve found the right place. If you want to check it out, you can see my Pacific Northwest Trip Board here! While you’re there, go ahead and vote on where you think my family should stay. You can see based on my choices there, that we’re trying to keep the nightly price point low, while also having great reviews and plenty of room for our multigenerational group! Not sure what to look for in a property for a big group? Be sure to read our tips on what to look for in a multigenerational vacation rental here! To make things even more convenient, I love using the Vrbo app! You can even get notifications on the app when someone joins the board or votes on a property. So, utilizing these tools can really help make your trip planning even easier. I love having the ability to create the Trip Boards to keep things organized while we decide on our best options! 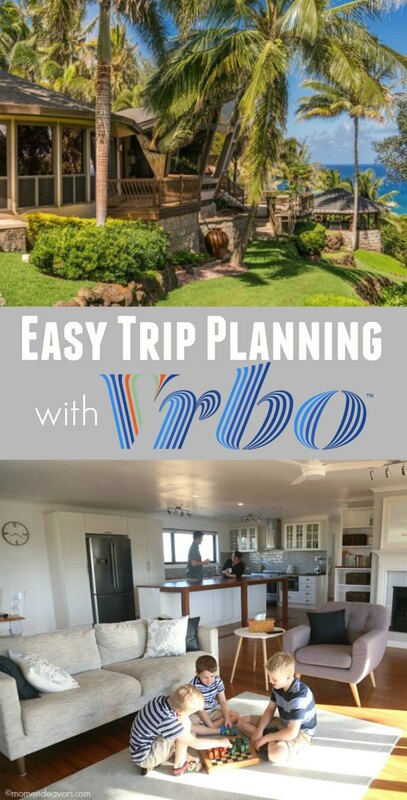 So, be sure to check out Vrbo and make a Trip Board as you plan your next trip! Feel free to go vote on our board to check it out! And, let me know if you have any questions!